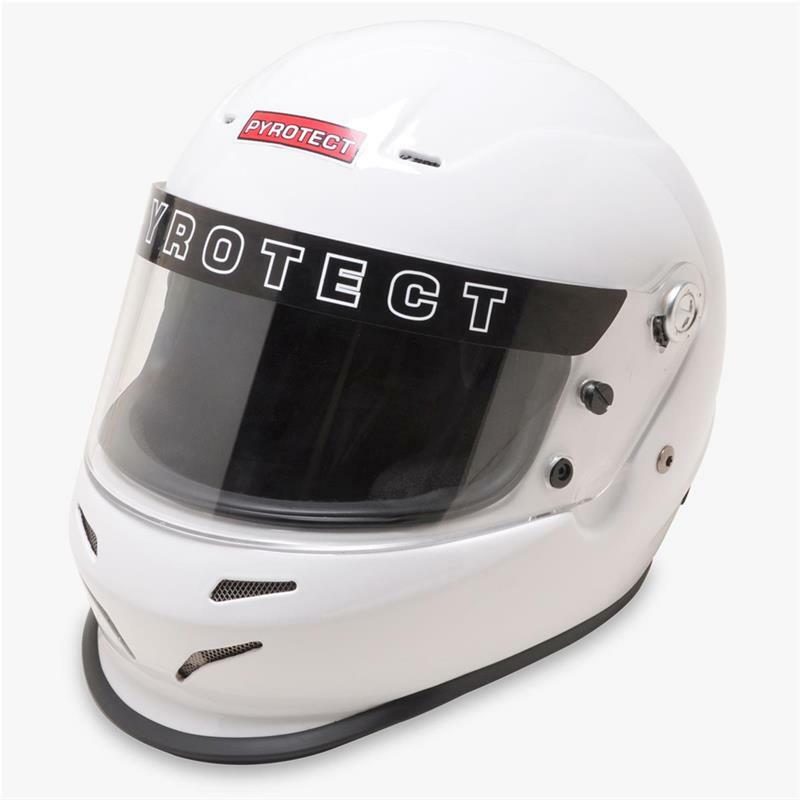 Pyrotect Helmet - ProSport - Youth - Duckbill UNIVERSAL - Dezod Motorsports Inc - Home of the automotive performance enthusiast since 2002. Pyrotect Pro Sport youth duckbill helmets are just the right headgear to keep a young racer up to speed when it comes to safety, comfort, and style. Their duckbill design improves aerodynamics and reduces neck strain for drivers of open cockpit cars by increasing downforce at the front of the helmet. They are excellent for use in Quarter Midgets, Jr. Dragsters, karts, Jr. Sprints, Mini Dwarfs, and Trophy Karts. Pro Sport youth helmets are adjustable to three different sizes with the included pads, and they are available in different colors and finishes.